The company will launch a formal sales process for its share of Netsmart, which it says is a complex transaction because of the terms of the joint venture agreement between the companies. Northwell Health extended its TouchWorks agreement for another five years. Questioned by an analyst about whether Northwell (which is the largest customer of Allscripts) will also extend its Sunrise agreement, President Rick Poulton waffled, saying only that Northwell has one year left on its managed services agreement and that it’s not a high-margin business. The company says it and its competitors know that the EHR and revenue cycle solutions market is mature and the churn isn’t going to generate a lot of net profit for anyone. Allscripts will ramp up services offerings to offset the decline. The company again did not mention its previously highly touted Avenel EHR that was unveiled at HIMSS18. Allscripts hopes to increase the margin of the former McKesson EIS business from single-digits to 18-20 percent. The company says retention of customers of the formerly free Practice Fusion is strong after Allscripts started charging for it, adding that Allscripts is blending that business in with its payer and life science offerings (Practice Fusion runs drug company ads and sells de-identified patient data to pharma). Is emotional support part of AI’s future in healthcare? 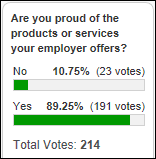 Most poll respondents are proud of what their employer sells. New poll to your right or here: what are your HIMSS19 plans? Information management technology vendor OpenText will acquire competitor Liaison Technologies for $310 million in cash. 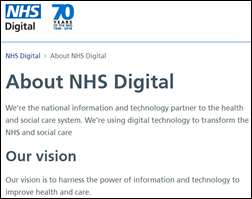 England’s NHS Digital will eliminate 500 jobs in a restructuring, about 20 percent of its staff. Apple turns in record Q4 numbers driven by jacked-up prices rather than increased sales or innovation. Shares sank Friday after the company announced that it will no longer provide individual unit sales or average prices, which would lead to the conclusion that (a) the company plans to hold price-insensitive fanboys hostage to make its numbers; and (b) Apple would rather not publicize the fact that it’s milking the cash cow harder (in a mature market in which its products are the highest priced) by increasing services and add-on revenue per customer, which isn’t very transparent for a traditionally transparent company. Much of the market won’t pay baseline prices of $1,300 for an IPhone, $1,800 for a Macbook Air, $399 for an Apple Watch, or $799 for an IPad Pro. Meanwhile, the company kicks the latest dent in the universe in an enhancement to the IPad, which will no longer offer a headphone jack. Dean Smith, MD, MBI (US Department of State) joins GlobalMed Telemedicine as CMIO/SVP of government relations. Epic signs an agreement to give insurer New York Life direct access to its EHR to extract information for people who are applying for life insurance. 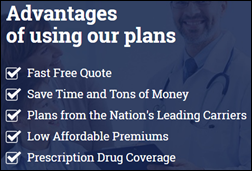 PatientPing adds the capability to tag patients who are covered under bundled payment models. The Federal Trade Commission shuts down a Florida company that sold $100 million worth of worthless health insurance plans, saying that Simple Health Plans LLC misled purchasers into thinking that its medical discount program – which cost up to $500 per month — was actual insurance. The “insurance” does not cover pre-existing conditions or prescriptions, pays a maximum of $100 per day for hospitalization, and has a yearly cap of $3,200 and even then only if the patient is hospitalized for 30 days or more. The government’s restraining order also calls for seizing the owner’s $1 million bank account and his Lamborghini, Range Rover, and Rolls-Royce. Defunct Georgia-based Best Medical Transcription pays $200,000 to settle charges that it exposed the information of patients of Virtua Medical Group (NJ) to Internet searches, a problem reported by a patient who Googled herself and found her own medical records. The New Jersey attorney general also banned Best Medical owner Tushar Mathur from doing business in the state. Kaiser Health News notes that Epic can’t handle vital signs entered between 1:00 a.m. and 2:00 a.m. on the Sunday when daylight saving time ends because those entries will be deleted when the clock is set back, forcing hospitals to document manually until after the time change. The articles says that nurses at Johns Hopkins and Cleveland Clinic date their entries after the time change to 1:01 a.m., but add a note that the vital signs were actually taken an hour after the previous entries rather than just one minute. Steve Ballmer becomes the latest rich person to donate millions to a hospital, leading me to implore the financially fortunate to support public health, not expensive healthcare service vendors (even if their customer base consists of heartstring-tugging children). Seattle Children’s doesn’t really need Steve’s $20 million – last year it had a $224 million profit on $1.4 billion in revenue – and it’s a shame that such tech titan largesse is always focused on their home cities like Seattle, San Francisco, and Palo Alto. A Boston Globe magazine piece called “Losing Laura” describes the death of a 34-year-old woman who walked to the ED of Somerville Hospital while experiencing an asthma attack but couldn’t get in because of a confusingly marked entrance and the inability of 911 operators to pinpoint her precise location on the campus. 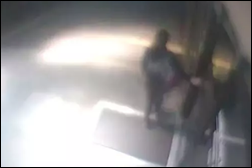 She collapsed outside a locked glass door through which she could see the ED waiting area, and a hospital nurse who went outside to look for her from the 911 call didn’t notice her on the ground. I’m at least a little bit sympathetic to the hospital, which is otherwise being sued and cited by the state – EDs in suburban hospitals were not usually designed for walk-up access in life-threatening emergencies. The article notes that while Uber and Lyft drivers are guided directly to their fares with near-perfect accuracy, the FCC requires cell providers to locate a 911 caller only to within 300 meters. In India, a judge who is annoyed at deciphering illegible doctor handwriting on injury and death reports requires them to print and sign transcribed copies from their computers. The same court previously ordered doctors to write legibly and fined those who didn’t, but the problem persisted. 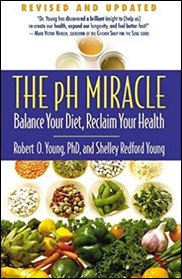 The author of the bestselling “PH Miracle” book series, who claimed that an acidic diet causes disease and offered treatments around that principle, is ordered to pay $105 million to a cancer patient who sued him for negligence and fraud. The author, who had already served jail time for practicing medicine without a license, advised the patient – who was also a former employee of his — to forego traditional cancer treatment and instead let him take over with sodium bicarbonate IVs administered at his $3 million ranch. 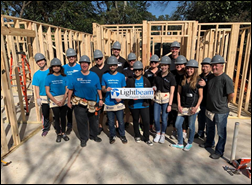 Lightbeam Health Solutions employees team up with Habitat for Humanity in Dallas. LogicStream Health will exhibit at the National Association for Healthcare Quality Conference November 5-7 in Minneapolis. CitiusTech names seven industry leaders to its advisory board. CHIME elects Meditech EVP Helen Waters to the CHIME Foundation Board. Mobile Heartbeat will host a user group meeting November 7-9 in Sunny Isles Beach, FL. Netsmart will exhibit at the National Hospice and Palliative Care Organization Fall Conference November 5 in New Orleans. Nordic will host a reception during the Population Health and Connect Summit November 7 from 6:30-8:30pm in Madison, WI. Clinical Computer Systems, developer of the Obix Perinatal Data System, will exhibit at the Michigan Critical Access Hospital Conference November 8-9 in Traverse City. OnPlanHealth announces a partnership with the Dallas-Fort Worth Hospital Council. Meditech recaps its Physician and CIO Forum. KLAS recognizes PatientSafe Solutions and Voalte as top vendors in its “Decision Insights: Secure Communication 2018” report. Pivot Point Consulting will exhibit at the 2018 HIMSS Virginia Fall Conference November 5-7 in Williamsburg, VA. The SSI Group will exhibit at the Georgia HFMA Fall Institute November 7-9 in Savannah. Sunquest Information Systems will exhibit at the ATLAS Medical User Group November 6-7 in Chicago. Waystar will exhibit at CHUG Southeast November 8-10 in Nashville. Surescripts will exhibit at the NextGen User Group Meeting November 11-14 in Nashville. SymphonyRM will host a networking event at HCIC18 November 6 from 7-10pm in Scottsdale, AZ. AMIA includes TriNetX VP of Informatics Matvey Palchuk in its inaugural class of fellows. On Seattle Children’s — AND they’re throwing over Cerner for Epic next year! Epic signs agreement to give insurer New York Life direct access to its EHR to extract info for insurance applicants: Can’t imagine that being good for insured customers. Insurance co’s constantly look for ways to not pay claims. This just gives them one more tool in their arsenal. This involves life insurance only, where clinical information is used only to accept/reject applicants or to price their coverage based on risk. Then it’s cash on the gravestone. Maybe it’s only life insurance and NYL claims it will only be with customer consent, but it’s pretty bad optics on Epic’s part. Not sure where this falls on the “Do Good” spectrum – more on the “Make Money” side, I guess. And customer consent turns into coercion once NYL raises rates for those who don’t opt in. Epic has only agreed to make interoperability APIs available for life insurance companies to use to get data electronically that they previously received via FAX. Of course NYL still has to get agreements from individual healthcare organizations to be able to call those APIs. The healthcare organizations still hold the keys to the kingdom here. @Mike thanks for the clarification. Can you also answer M Carr’s question? If Care Everywhere access is allowed, that opens up everyone’s records, via rules-os-the-road, yes? I hope that’s not the case. This is a bad step for Epic, and any other EHR vendor that gives in to the insurance giants. All about money and denying coverage. Where will this lead? Wow … where does the provider organization fall in all of this? Has Epic made this decision on our behalf? Are they granting access to NYL to Care Everywhere? I would love more specifics if anyone has them. Access is via Epic Chart Review, which requires authorization from both the patient and the provider. I doubt Epic actually opened up its access and told the company to go hog wild with its information. Considering that its a press release by the insurance company, I would wager that they got third party access approval contract signed and put out this press release. I would think this is no more than getting approval to send out patient extracts out of Epic to other, less unsavory, third party vendors (decision support etc). Epic stresses that at end of the day, each organization owns their own patient data. I would blame this on whatever organization invited these guys in, not Epic.